Austria finds that the German Car toll for foreign drivers discriminated against and dragged before the court. The ECJ advocate General said the toll is right. Austria finds that the German Car toll for foreign drivers discriminated against and dragged before the court. The ECJ advocate General said the toll is right. The lawsuit should be dismissed. In proceedings before the European court of justice (ECJ), the advocate General, the action of Austria against the German Car toll to dismiss. The planned discharge to a German car owner for the motor Vehicle tax is not discriminatory, said advocate-General Nils Wahl. 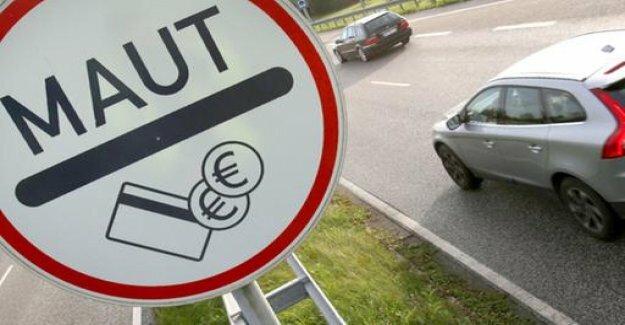 ECJ: "Too high a burden for German drivers"
The German authorities would be fully justified in the view that, so far, mainly from the taxpayer-supported costs of the motorway network would have to be evenly and equally to all users of split, said choice. These include foreign drivers. In addition, the authorities had assumed, rightly, that German vehicle owners "would be subject to unreasonably high taxation", if you have both the infrastructure levy (road toll) as well as the motor vehicle subject to tax under. Vienna: "discrimination for foreign drivers"
view Austria's discrimination against foreign motorists through the levy. For domestic car owners would be relieved about the Car tax in full for the toll. The EU Commission had given in 2016 after a long struggle, the green light for the German toll, Austria, and then pulled himself in front of the court. The Netherlands have joined. The toll for Cars in Germany is to be introduced to the planning of Federal transport Minister Andreas Scheuer at the latest in 2021. Motorists will then have to buy for the use of the highways vignettes. A judgment is expected in a few weeks. The court is not bound by the opinions of the advocates General, follows this but in many cases.